Lynn Baden, Patrick Beckstead, Chaz Boston Baden, and the "Protect Yourself From Brush Fires" banner. 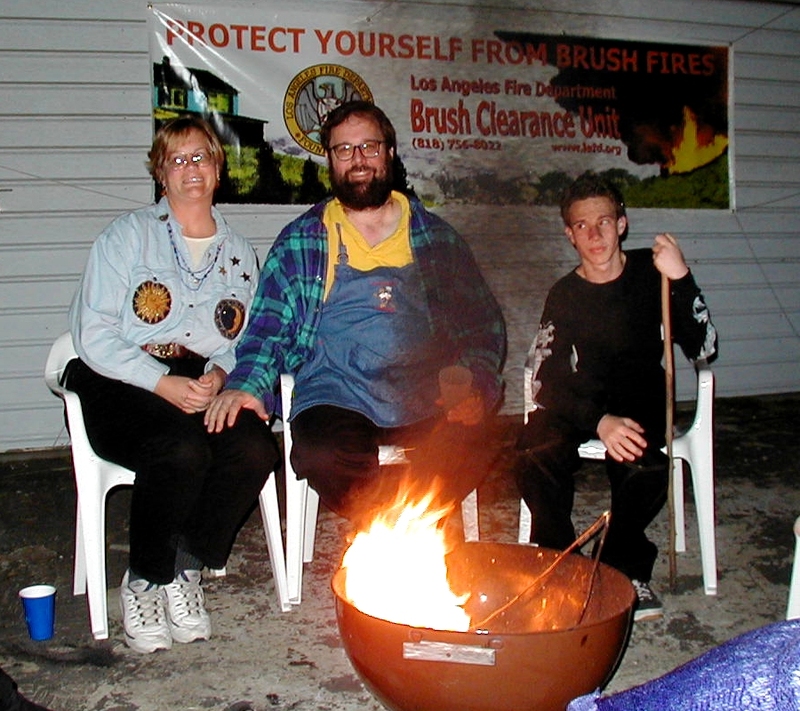 Lynn Baden, Chaz Boston Baden, Patrick Beckstead, and the "Protect Yourself From Brush Fires" banner. Scratch Galloway rubbing Pat Lawrence's shoulders. Pat Lawrence. The Chair has claimed another victim. Cathy Beckstead, John face-down on the couch, and Janis Olson. Maria Rodriguez in the game room. Janis and Glen's rock garden is coming along nicely.